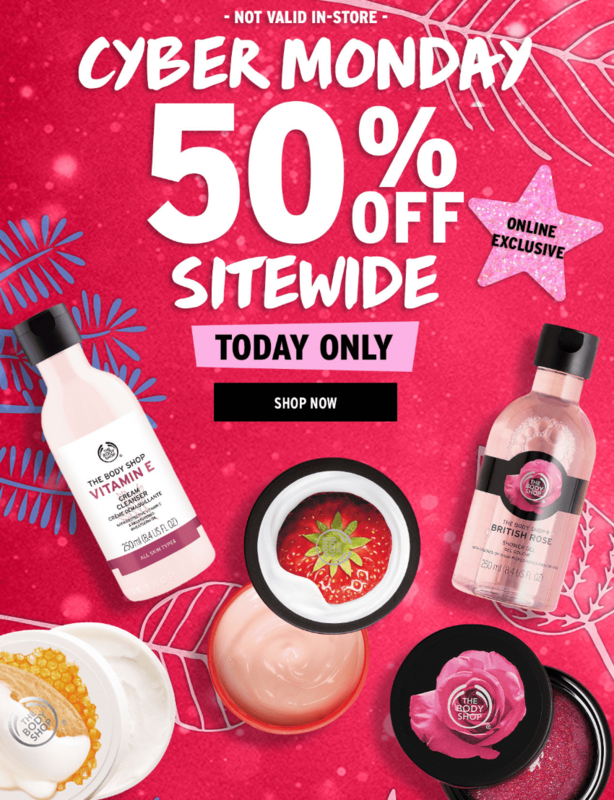 The Body Shop Canada Cyber Monday 2018 sale is on! Shop online and you will save 50% off everything sitewide, no promo code is required. The Cyber Monday offers are live online today, Monday, November 26, 2018. Plus, you can save 40% off Gift Sets at Body Shop today. Ontario residents can enjoy FREE shipping on online orders of $35.00 only! For other provinces can get FREE shipping on online orders of $50.